"When's the last time you bought a gram and got a receipt for it? Never happened," said Canopy CEO Bruce Linton to his first customers as they stood in the front of the line for sales to officially start. The first legal recreational cannabis has officially been sold in Canada. The lineup at the Tweed store started at around 8 p.m. NT, and steadily grew as the time ticked down to 12 a.m.
Ian Power said he came early so he could "make history." "It's been my dream to be the first person to buy the first legal gram of cannabis in Canada, and here I finally am," Power said. "I'm elated. I'm so excited, I can't stop smiling. I'm not cold. It's freezing cold out, but I'm not cold." Marijuana became legal across Canada as of Oct. 17, months later than the original target date set out by the federal government. The Senate passed the bill earlier this year, making Canada only the second country to legalize cannabis. 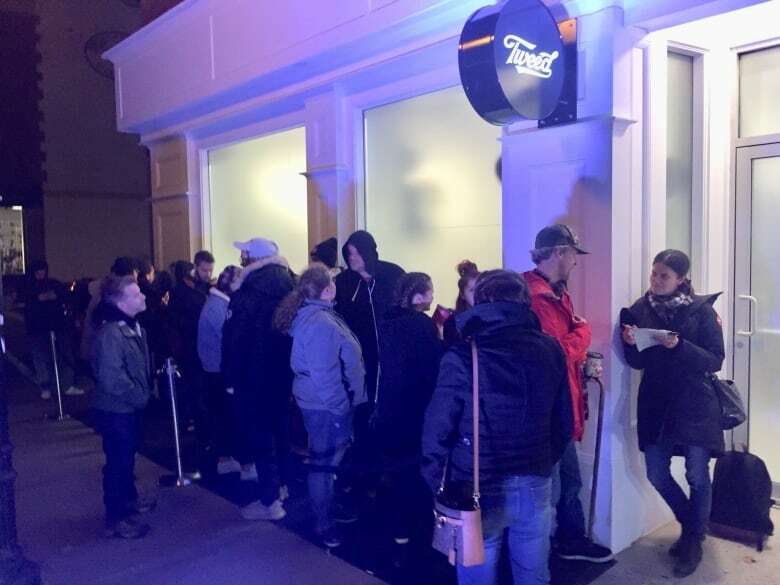 Tweed opened its doors just before midnight so customers could start filing in, amid a crowd of media, to line up to buy their first legal bud. "When's the last time you bought a gram and got a receipt for it? 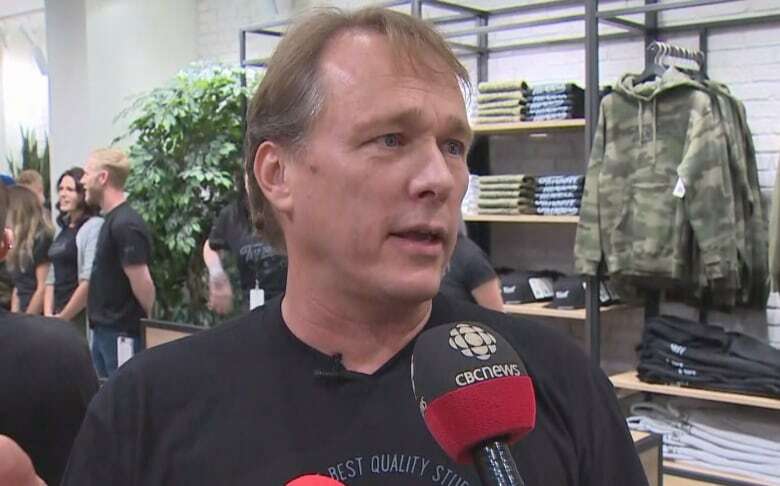 Never happened," said Canopy CEO Bruce Linton to his first customers, Power and Rose, as they stood in the front of the line for sales to officially start. "For me it just proves that Canadians are open to this, they're ready for this. It's not like, 'Oh my God. look at that sketchy character,'" Linton told CBC News after ringing in the first sale. Linton added that at the company's headquarters in Smiths Falls, Ont., he was approached by a 102-year-old woman who was curious about cannabis products. "Everybody wants to understand it," Linton said. "They don't like ignoring it." Meanwhile, Power, who said he has advocated for cannabis users and patients for years, said he's hopeful legalization will help eliminate what he calls stigma around the substance. "I think the social stigma of the 'stupid stoner' or the criminal element for using cannabis, a benign substance, as my choice of medicine or recreation, I think that's gonna change," Power said. "Cannabis is in all walks of life. People who are unemployed, to the lawyers and judges in the country, so why not?" Last week, the Newfoundland and Labrador government announced that as of 12:01 a.m., licensed retailers would be allowed to sell marijuana. The Newfoundland and Labrador Liquor Corporation, the Crown regulatory agency, then said retailers would be allowed to operate from 9 a.m. until 2 a.m., meaning there was a two-hour window at the very start of Oct. 17 when marijuana could be purchased. 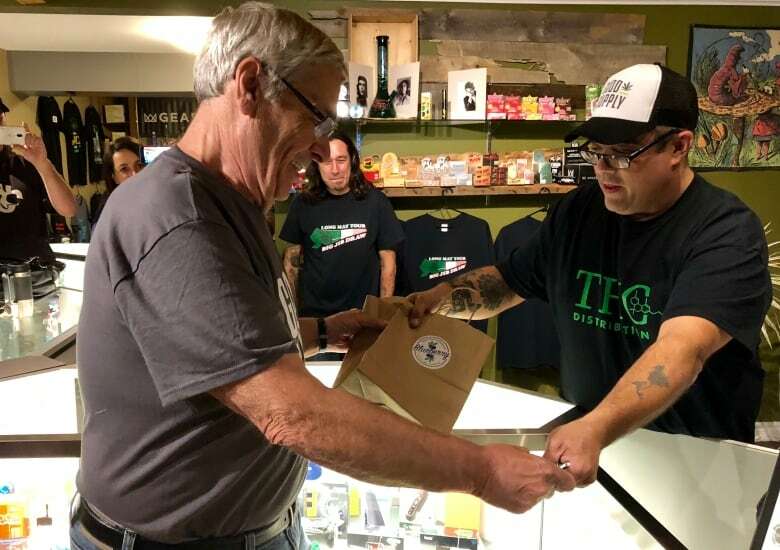 Canopy Growth, one of Canada's largest cannabis companies, officially opened its Tweed store at 11:30 p.m.
Linton nearly missed the first legal sale due to high winds Tuesday that delayed his flight, but he was able to land to be on hand to sell the country's first legal weed. 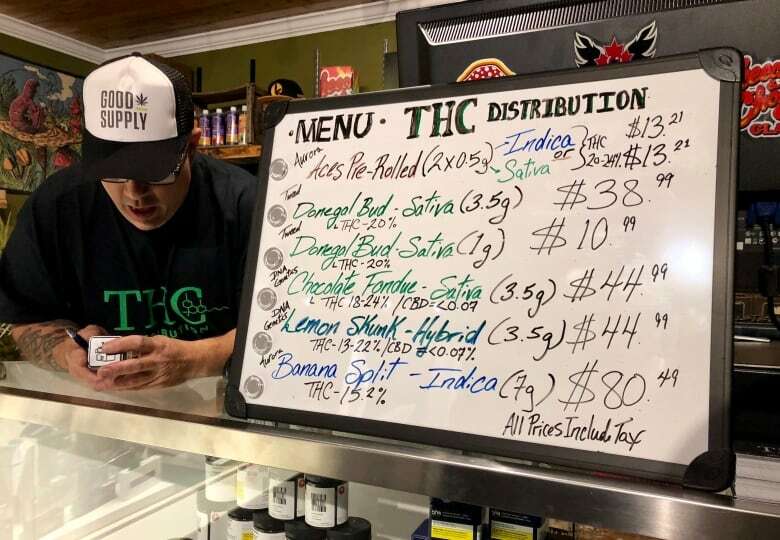 There are a number of other retailers, like THC Distribution in Portugal Cove-St. Philip's, just outside of St. John's, where owners also opened for midnight sales. Owner Thomas H. Clarke said he's "living the dream" opening a pot store at home, but worries that he might be out of product by Friday. 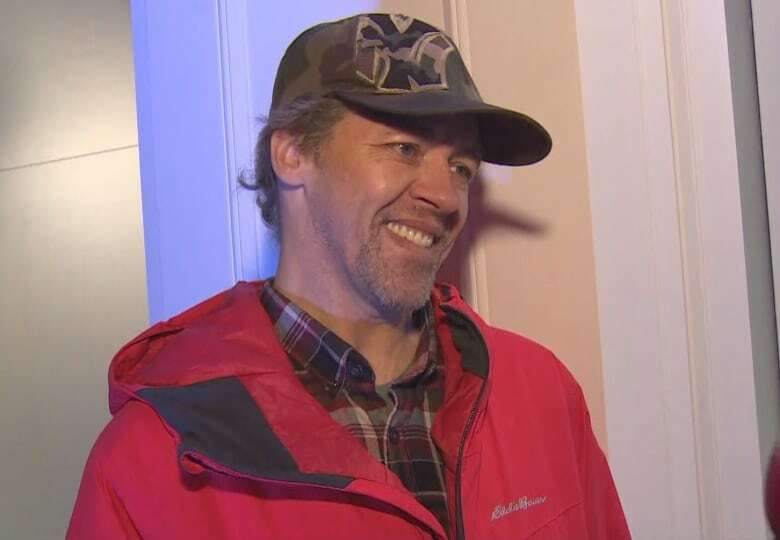 His first customer was his father, Don, while a crowd of about 100 people waited outside in line on a chilly and windy night to make their first legal purchases. "It's awesome," said Don Clarke, about buying from his son's shop. He said it feels "unbelievable" to be able to purchase marijuana legally, after being a user for 50 years. "A bit late. I mean, we could have done this in 1969 or '71," he said. "It's been discussed at length — to overkill." While the supply may be limited now that sales have started up, Clarke said there will be a wider selection available as time passes and more items hit the market. Other shops also had lines outside their doors once midnight hit, with people scurrying to get in and make their legal purchases of marijuana before the mandatory closure at 2 a.m.
Each province sets its own marijuana regulations, including at what age people can purchase it, locations, quantity limits and smoking locations.